Wild West Shows | A Song for the Horse Nation - October 29, 2011 through January 7, 2013 - The National Museum of the American Indian - Washington, D.C. 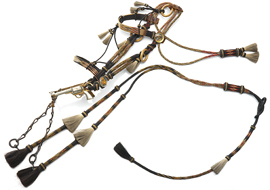 In the late 1800s, the Wild West shows of Buffalo Bill Cody and other impresarios brought Plains horsemanship to audiences around the world. White audiences began flocking to see Plains warriors perform as popular entertainers. The shows reinforced Indian stereotypes, but they also allowed Native horsemen to demonstrate their prowess in mock battles, earn money, gain skills, and meet potential supporters. 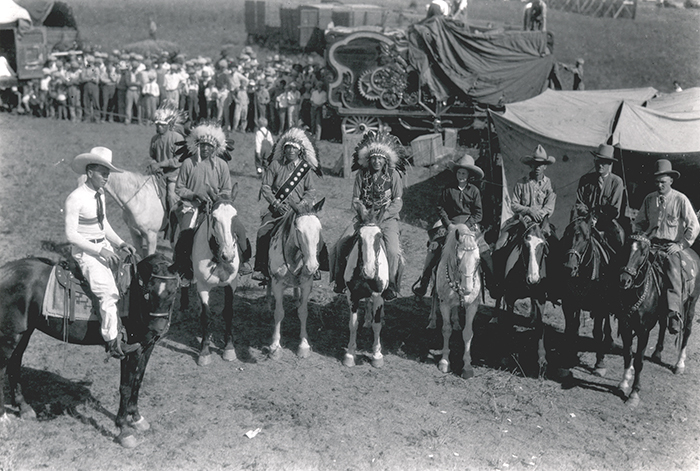 Many Native veterans of Wild West shows would later showcase their skills in rodeos. 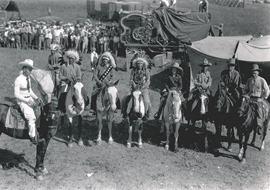 Native leaders such as Iyotake Tatanka (Sitting Bull) and Goyathlay (Geronimo) turned Wild West shows to their advantage, both as a source of income and as a way to educate the public.